We grow and sell a number of viburnums. We can supply you one viburnum or supply them by the thousands. We are in process of setting up a wholesale viburnum operation for cut flowers as well as viburnums for the landscape trade and retail users. We can supply rooted cuttings , seedlings, transplants, or large balled and burlaped specimens. We will deliver and we will plant them for you if needed. We currently have 10,000 viburnums growing in the fields at our Milan Pa. farms and 2500 at our Doylestown Pa. farms. If we do not grow the variety that you want, we may be able to locate it for you. what kind of plants you prefer...Evergreen...Natives...Flowering and he will do the rest. Call him at 215 768 9229. 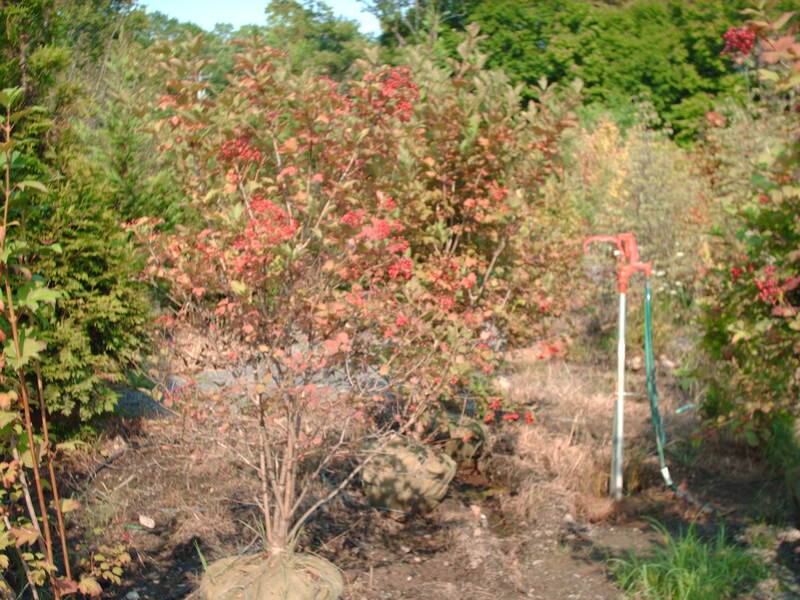 We raise over 10 types of Viburnums on our farms from seedlings to 5' shrubs. We propagate many from cuttings. If you have poor soils due to compacting from construction, try viburnums. Being rugged and hardy, they perform where other plants fail. We have plants from seedlings to 5' shrubs.